My latest pick is chock-full of heart, wit, & just the right amount of absurdity. After seventeen-year-old Marlowe undergoes a life-saving heart transplant, all she wants to do is start living a normal life and thank her donor’s family. But her life was never normal and her donor’s family has no interest in hearing from her. After Marlowe’s letters of gratitude are rejected, she takes on a fake name and befriends Carmen, whom she believes is her donor’s sister. On top of all of that, Marlowe, the daughter of a self-proclaimed Vegan warrior, is falling for the butcher’s son! (#SCANDAL) Could her life get any more complicated? Probably. Marlowe’s family might be among my all-time favorites. They are over-the-top and totally endearing. Marlowe’s mom loves fighting for social justice almost as much as she loves her kids. Marlowe’s little brother, Pip, wears hilariously quirky costumes every day, and has one of the best lines, “I might dress like a girl because girls are cool, but sometimes I dress like a boy because boys are cool, and then sometimes I’m a shark because they’re cool too.” I mean, COME ON. Pip is THE BEST. Marlowe’s story is witty and full of heart (ha ha). She may be awkward and angsty, but she’s 100% relatable. And the slow-burning romantic relationship between Marlowe and Leo is so satisfying. 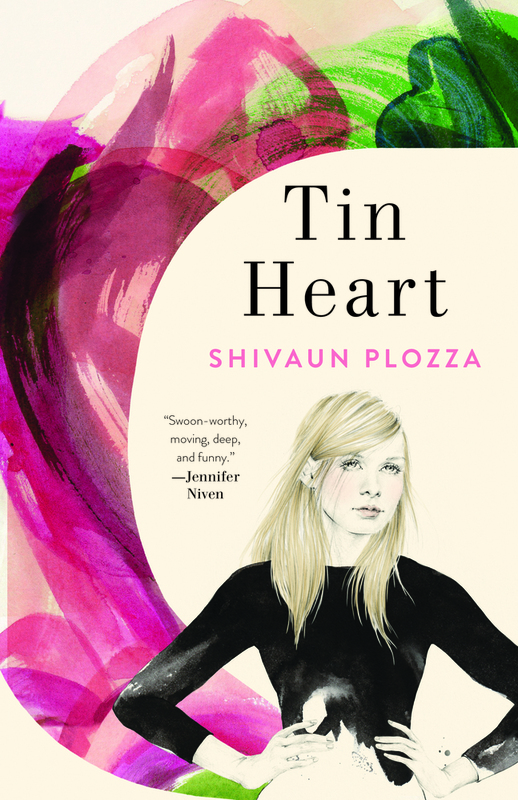 TIN HEART is captivating until the last page and is perfect for fans of WORDS IN DEEP BLUE by Cath Crowley and EVERYTHING, EVERYTHING by Nicola Yoon.